The main medium used in his works = Pure Natural stuff and Nature itself. This implies that his works are only temporary as materials from nature are biodegradable and nature is subjected to change (the weather is unexpected sometimes). So, in order to capture his works and make them "last longer", photography is used as a "side medium". In other words, photography is a medium to document his works. As viewers, we can only experience his works through photographs as I guess most of the works will have been demolished by now. Well, I think that the photograph shots are taken in such an angle that it somehow "guides" us when we are looking at the work. Maybe these photos are taken from angles that makes the work look best. 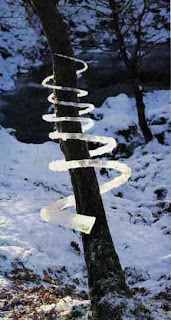 However, I think that since it is a sculptural work, I would prefer that more photographs ought to be taken so that we can appreciate the work from different angles, as well as admire the beauty of the surroundings in which the work is created in. However, the best is to go to the forest and see his works ourselves. That way, we can experience the full impact that his works bring, and immerse ourselves in the nature of the surroundings. Since we are living in such a hectic city like Singapore, it will be nice to go to an isolated and serene place that is away from all the traffic to experience natural art. It will also be a different experience as it is looking at art that is situated outside of museums. Personally, I admire him as an artist as he only uses materials and tools from nature to create his art. 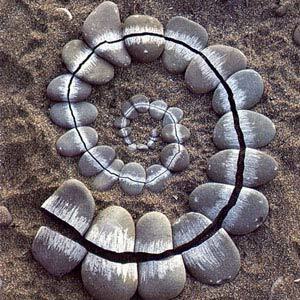 This brings out the sacred elements of nature and emphasises that nature can be art as well, although we do not notice it. He has broken away from the traditional definition of art as he creates eco-friendly art. (: The subject matter may be just mere forms and they are simplistic and abstract, however, I think that there is a hidden meaning in his art. 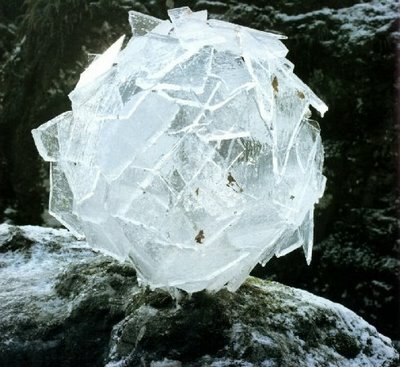 His art is the manipulation of nature, however, since weather changes may just destroy the fragile pieces of art, it means that we cannot manipulate nature forever as nature will eventually return to its "natural state", the original way that nature is arranged. Each of his works are unique and beautiful as he incorporates different elements of nature in different works, which contributes a different mood to each piece of artwork. From this video, we can see that he needs a lot of perseverence to create works in nature as they may just topple and fall. Stability and balance are very important elements in his work! Precision is also crucial. --> It is the work that is in our syllabus, so I shall write about it! It is an abstract, organic piece of work which may be inspired by a bird's nest(something found in nature) as it looks like one! The work is simple as a whole, but it is actually quite a detailed work if the individual sticks are observed. It is created using sticks that are arranged in a circular motion, such that it forms a circle with a dark hole in the middle, like an abyss. The sticks are criss-crossed and intersect each other to secure the branches in place. Each stick needs to hold another stick in place so it must be arranged carefully such that the sticks complement each other perfectly. It is placed against a tree so, creating a sense of juxtaposition of the manipulated and the natural. However, as the sticks are natural, it also blends into the tree behind it well, camouflaged in the surroundings. If someone is not careful, he may just walk pass the work without actually noticing it. This reflects the current situation of our face-paced modern world -- we are so caught up in our rapidly changing lives that we forget to stop to appreciate the beauty of our surroundings. Beauty is actually all around us, the key lies in whether we see it or not. The colour scheme of this work is monochromatic and natural. The sticks are different shades of earthly brown, and they are different in shape, size and texture. The usage of sticks as a medium encapsulates the essence of nature as nature itself is unique, just like how each stick is different from the other. A tonal gradient is also present in the work as the sticks are of different shades. The neutral and earthly colour scheme conveys a sense of serenity and zen, making it merge into its surroundings even more. A Collaboration with Ooi Shu Hui (: Inspired by Andy Goldsworthy. It is supposed to be the infinity sign, but now it looks like an '8'. 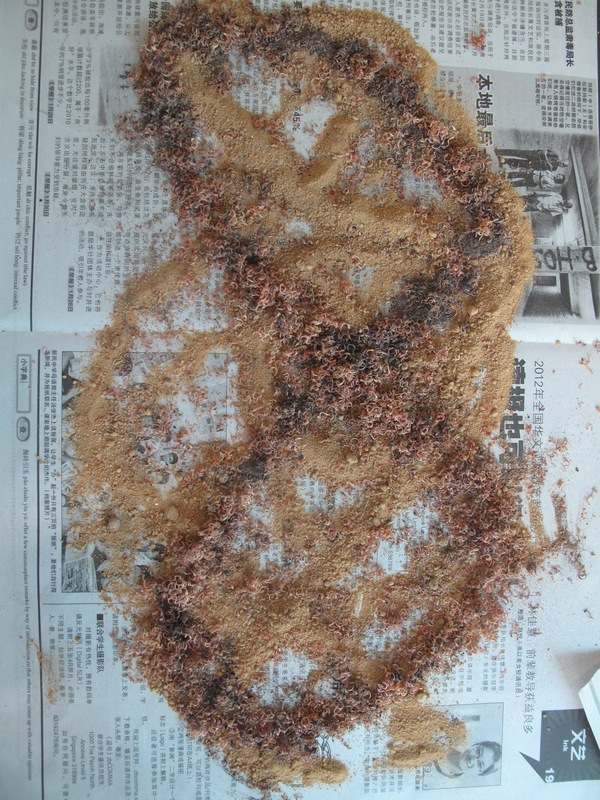 Anyway, medium used is sand and pencil shavings (taken from the pencil sharpener in the art room) and newspaper for the background. 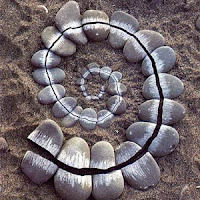 Well, I can't say that it looks like Andy Goldsworthy works as Goldsworthy definitely spend more time perfecting his art compared to us and his is situated in a pure nature(while we did this in the art room). His work is also more natural than ours. 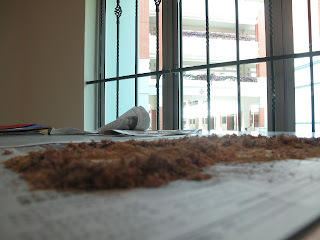 Pencil shavings are somewhat "manipulated nature" so I won't consider it as pure nature. 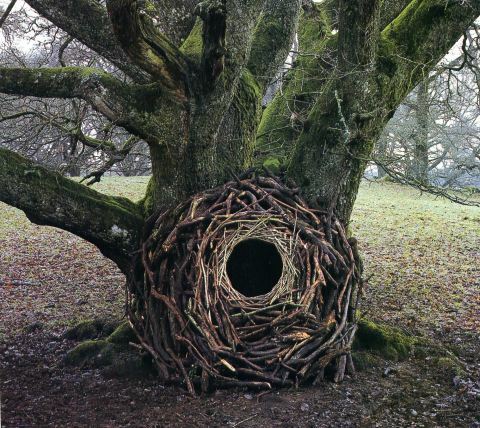 Goldsworthy's works are also larger in scale and requires more patience and skill. Even though it is not purely natural, the colours are definitely earthly, natural and warm, contrasting with the monochromatic background(the newspaper). 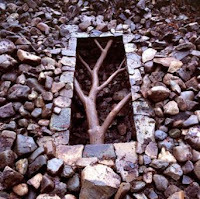 There is a juxtaposition of the pure natural and the "man-made natural" in our work too, which is similar to Goldsworthy's works. 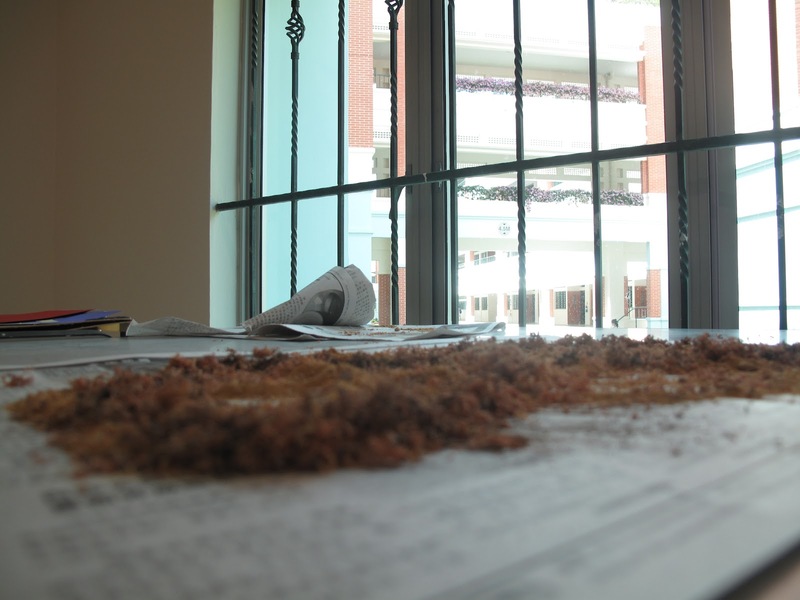 The pencil shavings are "man-made" as pencils themselves are made by man from wood, while the sand should be considered as a part of nature(I am not sure if it is man-made sand). I am not sure if Ooi Shu Hui thinks this way too but I shall offer an interpretation for our work. I guess that we wanted to portray nature as being infinite as there are no boundaries to nature. We also hope that nature will be better conserved by mankind as nowadays, nature is constantly being wrecked and destroyed by man. So by arranging our work in the infinite sign, it means that we hope that nature will last for eternity and not be gone because it is wiped off by humans.